Bromeliaceae (bromeliads) is a family of flowering plants native mainly to the tropical Americas, with a few species found in the American subtropics and one in tropical west Africa. Their native soil is Middle and South America. They thrive in the lowlands of the tropical forests and even in some higher regions (up to 4000 m) of Sierra Madre and the Andes. They thrive in different climate zones: tropical and monsoon climate of the rainforests, subtropical savannah climate with dry period either during summer or winter, subtropical steppe climate and subtropical highland savannah climate. 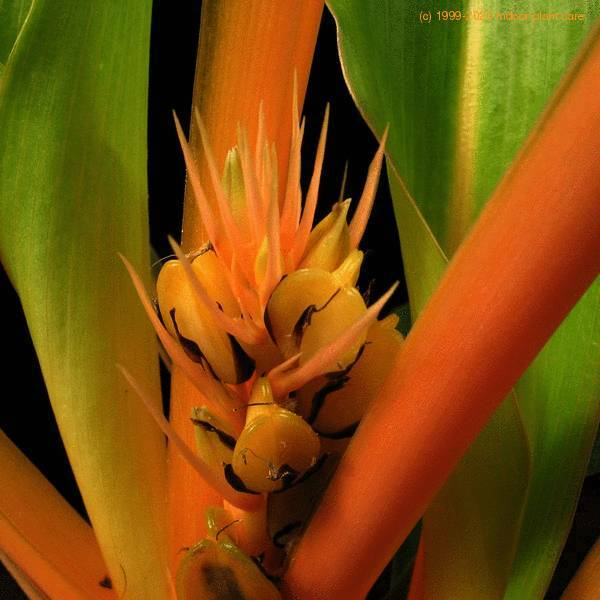 It is important to know the climate zone of origin of certain bromeliad, as you will be able to offer your plant convenient conditions. 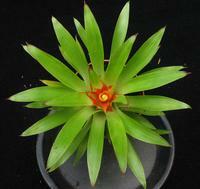 Bromeliads are epiphytes. They do not drain the host tree, they are simply attached to the rough bark of the trunk or branches. They grow high in the tree crowns to bath in the shaded light. Some thrive even on the ground. They gather rainwater with all necessary nutrients in their specially shaped leaf rosettes. 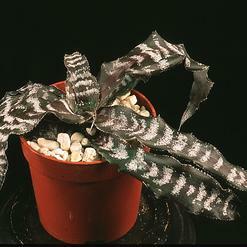 Some sorts that thrive in wet regions regulate the quantity of water with special sucking scales on the rosette leaves that open or close according to the needs. Sorts from the dry regions do not have distinctive rosettes, instead their surface is covered in scales that prevent vaporization. 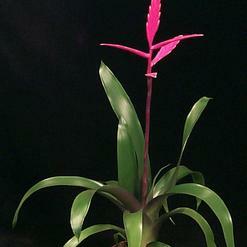 Bromeliads flower only once in a lifetime. After the flowering the parent plant slowly dies, but new sprouts that appear around it continue the life.. We can transplant these sprouts in their own flowerpots filled with special soil mixture for bromeliaed. 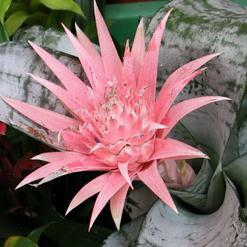 Bromeliads should flower in 2-3 years provided with appropriate temperature, humidity and enough light. 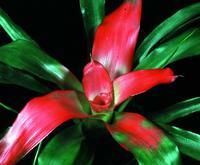 We recommend buying the plant that is close to its flowering period. Decorations of dry branches or trunks with epiphyte plants will revive your window shelves or fill your flower showcase. We can keep them in flowerpots as well, but we have to prevent direct contact with water. 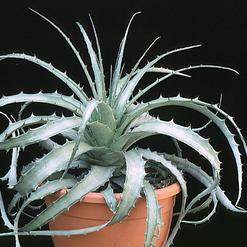 The plants on the same decoration should origin from the same or similar climate zones. 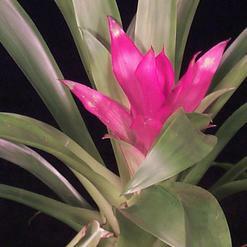 Bromeliads are commonly sold in plastic flowerpots planted in peat. 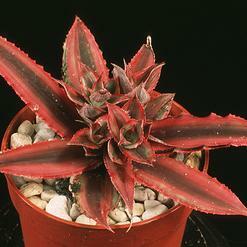 We strongly advise transplanting in soil mixture for Bromeliads. 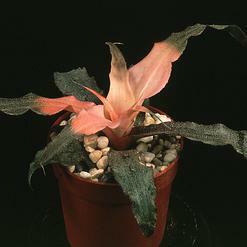 In case you don’t transplant them in appropriate mixture you should add fertilizer for Bromeliads to the water for spraying.